Around noon on that day of doom. Crosses were carried in the street. The crowds cried aloud and chanted. He fell at my feet. From the weathered road His eyes met mine. And then, they called my name. “You there! Pick up that cross. Nor take up this cross from His hand. No burden this great had ever been born in Cyrene. —Never a thing this obscene. And I too was mocked by the crowd and soldiers. I was ashamed and He seemed to grow bolder. Me hunched over, as He stood straight. His eyes set on that cruel Hill as time stood still. He swayed gently at the fatigue and brutality. Me with the tree and His face set on eternity. Together we charged the hill with determination. He would bring about the world’s salvation. But His burden and sacrifice was real. It would heal. 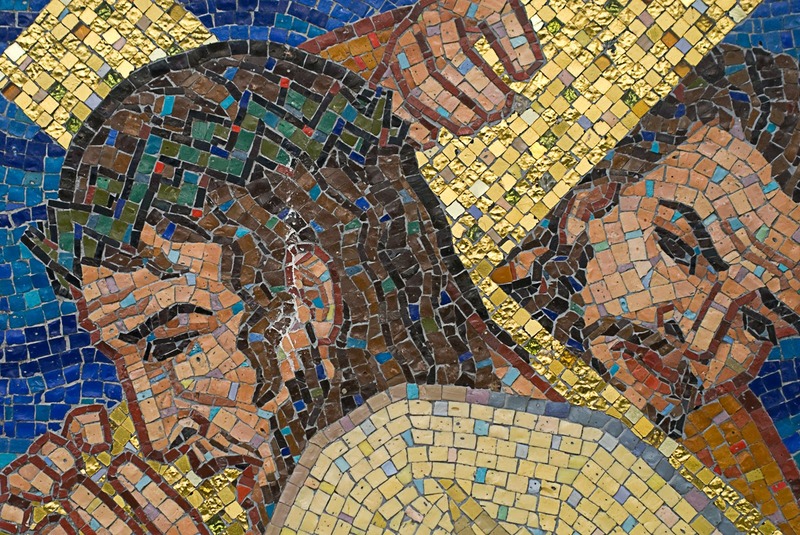 I've always wondered about Simon of Cyrene and how he felt being summoned to carry the cross. Jesus must have loved him very much to bless him so, and yes, your poem rings true, Simon appeased Roman appeal while Jesus saved our souls.